Work life balance—it is a phrase we are hearing everywhere. It seems our entire society is overworked, tired and trying to find a way out. In reality the concept has always felt nebulous to me. What does it mean to be balanced? Can one really have true balance? My field, medicine, is very different than most, and has unique challenges when trying to apply this idea of balance. We spend countless years training–sacrificing time, relationships, and more poignantly ourselves in order to become physicians. After this time, we want and expect to become normal humans again, to go to holiday dinners, to relate to our non-medical friends and family members, to have lives and more importantly, balance. Unfortunately, sometimes we struggle with knowing what ‘normal’ is anymore. When I finished my training, I moved across the country and started a new job. The transition was jarring due relocating my life, but also because I didn’t know what to do with myself. I suddenly had more time than ever. It was lonely and unexpectedly boring. I had let relationships languish and I no longer had the safety net of a training program to provide me with ‘instant friends.’ I had also lost sight of who I was, what I thought was important, and what I was passionate about, because the job had always taken precedent. When it became possible to know myself again, I had forgotten what my interests or passions once were, and those I did remember didn’t matter anymore. The idea of balance didn’t really make sense. I totally thought I had it! I wasn’t working every weekend, and I wasn’t spending the majority of my waking hours at the hospital. That is being balanced, right? In my personal life, I got married and had a baby. I was fortunate to be able to take 3 months off for my maternity leave. Life was busier, but manageable. Things were going well. I was working a few days a week and was luxuriating in my time with my baby outside of those days. Did I have balance now? I guess. I actually liked being back at work after maternity leave. The Emergency Department is a complex, stimulating, thrilling, and challenging environment. I love it. I am continually humbled by it, and I find myself enjoying the detective work that each shift brings. Then winter came. Just like every year, our volumes skyrocketed, and I found myself feeling really challenged. I suspect that having my baby during the prior winter left me forgetting how awful it can get. Also having a toddler at this point and thus more needs at home made it much more difficult to suffer through. It felt like the busiest season of my life. Once February hit, I could no longer keep up. For the first time I felt that my life was out of balance. By this time, we had been in ‘winter mode’ for a few months. Our hospital was frequently at capacity and the ED was breaking volume records daily. I was running around each shift, constantly apologizing for the wait, playing catch-up on patients that took a while for me to get to, and feeling extremely anxious. I was anxious about falling behind, scared that I was going to miss something and possibly send home a child who was sicker than I realized. In addition, I was almost always staying late and coming into each shift with dread about how hard it was going to be. I was exhausted. Couple that with the crazy hours, overnights, super early mornings, and it created a frustration and dissatisfaction in my life that I had never seen before. I didn’t know how to change the situation, and I was afraid I was on the road to burnout. Most concerning to me was that I found myself becoming pervasively negative, having little to no patience, and getting angry easily. These emotions were bleeding into my personal life and I was ashamed that I was bringing my worst self home to the people I cared about the most. I was broken, tired and tapped out. I was desperate. I knew there was nothing I could do to change the emergency department environment, but I also knew that I was struggling to survive. At home, making dinner was often out of the question and usually I didn’t even have the energy to have a connecting conversation with my husband. The patience I normally would have for my toddler was gone and I didn’t like the frazzled angry parent I was becoming. 1. Recognize things are out of balance. Honestly, I think the recognition was the most important thing for me to understand in order to figure out how to change my situation. Balance is different for everyone and every circumstance. For me, the job had become more draining than usual. My compassion ‘reserves’ were running low on a daily basis and my family was suffering because of it. Rather than ignore the pattern that was developing, I realized I needed to find a way to tackle it. Or do something such as a retreat or a long weekend away so you can ‘re-set’ things. Sometimes we all need to take a step back and take an inventory on what is really going on. When we are too close to our anxious and frustrating feelings, the real problem often gets obscured. For me, I was able to honestly say that I can’t change the state of the ER, but maybe I can change things around my work to improve the other aspects of my life. 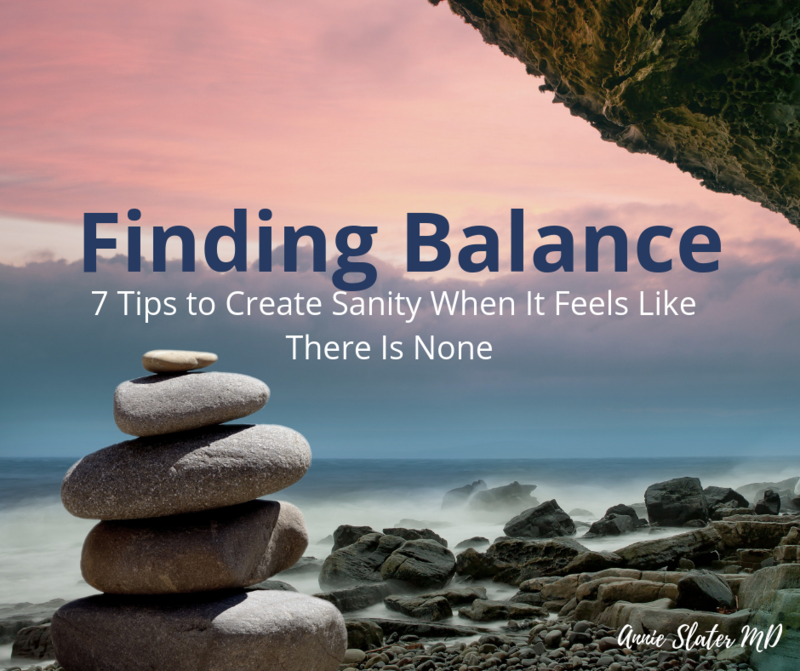 Write a list of all of the things that are contributing to the feelings of imbalance and highlight the ones you have control of altering or improving. Personally, I was struggling with the timing of some of my shifts. I would work an evening shift on a Tuesday, and then turn around and work a very early morning shift on a Thursday. It was dizzying, and it was contributing to poor sleep. Poor sleep added to my daily irritation. I also wasn’t getting enough alone time. I have childcare 3 days a week, and I was working every one of those days as well as some evenings on the weekends. There were many more topics on my list, but these are good examples to think about. Fortunately, I was able to talk to my scheduler about my shift timing. In addition, my husband and I made a plan to carve out some “mommy alone time.” This would allow me to have some time to focus on me and fill the space with activities that were rejuvenating. You need all the help you can get. I found that I was getting way behind on my ‘at-home’ tasks, and then feeling really guilty about it. This added to my anxiety. We needed to interrupt that cycle as much as possible to save my sanity. We ordered take-out because I was too tired to cook. I realized I desperately needed some support at home during my busy weekends and asked my mother-in-law to come into town to help on one or two of the weekends I was working. She not only took care of our kid, but she is awesome at organizing and did all of my laundry! I was lucky to have someone I could call. This could be anything from hiring cleaners to getting a babysitter to watch the kids while you take a nap. 5. Create and enforce boundaries. I totally understand how annoying this sounds. I was so negative during this period, I probably would have punched you in the face if you would have suggested that all I needed to do was to change my attitude. However, I have learned since this time that the lens from which we look at life matters a lot. I was playing the victim in my narrative. No one understood how hard it was to be me, I was getting all the terrible shifts, all of MY overnights were crazy, etc, etc. As soon as I took my vacation and did my inventory, I was able to actively work on changing my circumstances, and life was less dark. As my mood improved, so did my shifts. Noted. 7. Find things to make you happy. Then DO them. I told you that I forgot what I enjoyed and what I was passionate while I was in training. It took me a long time to figure out what brings me joy. Now I know that taking trips with my family, cooking, going to a nice restaurant every once and awhile, and now, writing, all bring me a lot of satisfaction and pleasure. If I don’t have time or energy to do any of them, I get sad, irritated and angry. In the end, I did all of the things above, and then some. I made sure I was scheduling myself to have massages once a month and we found a babysitter to allow my husband and I a few nights alone. I felt better, and I continue to feel better (of course, the volumes also decreased as is typical with the summer). So, for now, things are good. I am constantly assessing my ‘balance,’ and adjusting as necessary. Adding a new baby to our mix is totally going to throw everything off, but I am hoping I have enough awareness to course-correct. In order for me to continue to be happy I have to make sure I don’t feel this way very often. If it becomes my norm I will need to find another job. I don’t have all the answers, I just know that my family actually deserves my best. I’m going to try really hard give them that. Have you had similar experiences? Would you like to share below? I’d love to hear how you handle this! I have been hearing a lot about imposter syndrome lately namely from the New York Times, but also by normal everyday physicians who have been vulnerable enough to share their experiences. To be honest, I am not even sure where I developed it. If I think broadly–medical school, residency and fellowship were all very intense experiences. There was constant testing, evaluation, teaching, and judgment. Then came reprimanding, subsequent shaming for not doing something correctly, and fear. So much fear of being wrong, of getting the backlash for not catching on as quickly as my peers and fear of failing. 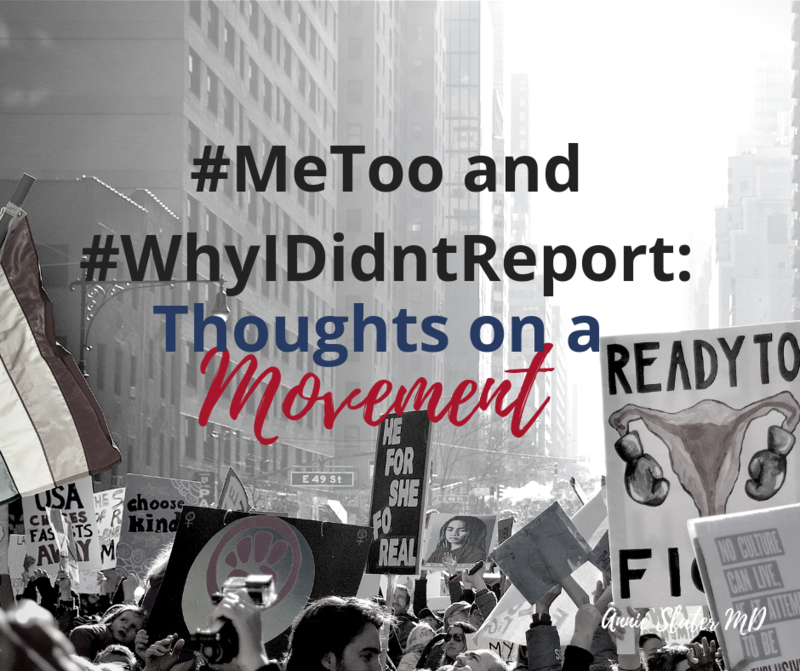 When I look back, I can pinpoint specific instances that are burned in my mind, and probably together they helped to create the imposter syndrome I felt. For me, it started once I entered medical school and was surrounded by hundreds of incredibly smart and motivated people. I began to question whether I belonged. I attended a rare 6-year medical school, where students graduate from high school and immediately enter an undergraduate/medical school combined program—this rigorous schedule at such a young age probably added to the pervasiveness of my imposter syndrome. In my second year, we had a no-nonsense physiology teacher who was known to have impossible tests and little sympathy for his medical students. On one of the major exams (that could define your grade in the class), I received a failing grade. The caveat, almost everyone was failing, because the average on the test was 60%. It didn’t matter that the test was hard, I was still failing a class. At that moment I realized I was going to have to apply myself and work harder than I had ever worked in my life. I desperately did not want to fail. If you fail a class in the 6-year program you have to extend to 7 years. If you fail two classes you are removed from the program. Quickly I learned how to study, sacrificed my free time and never failed a test again. I made it through the program not excelling, but completing. Justifiably, I continued to feel as though I was ‘less than,’ because of the level of effort I needed to put in to be successful. Residency was the next step, and my feelings of inadequacy grew. I think I entered with the general thought that I wasn’t smart enough, and that I would continue to have to work harder than everyone else to be in-line with my peers. I felt like I had to fake it, fake that I was supposed to be there, fake that knew I what I was doing, tempered with being truly honest when I needed help. I struggled during this time due to my imposter syndrome, but also because I struggled with the hours, I struggled with being away from home and without a family support system close by. My schedule was insane, I worked 80 hours a week, got one weekend off a month and two weeks off a year. Not only was it challenging to merely survive, I was also thousands of miles away from my family and my only friends were those in my residency. In addition to a rigorous schedule, there was also endless feedback and conversations about what I needed to do to get better. These are all attempts to make us better doctors, but I think without a true support system, and with what feels like lots of negativity, it seemed like I wasn’t doing anything right. The natural conclusion is that I am not good enough and that I am not sure I am supposed to be here. Despite these feelings, I found a true passion and niche in Pediatric Emergency Medicine. I matched into one of my top fellowship programs, and thus entered the final phase of my training. I was fully embodying my imposter syndrome at this point. I couldn’t really believe I deserved my fellowship spot and I just hoped that no one would notice that maybe I was chosen accidently. 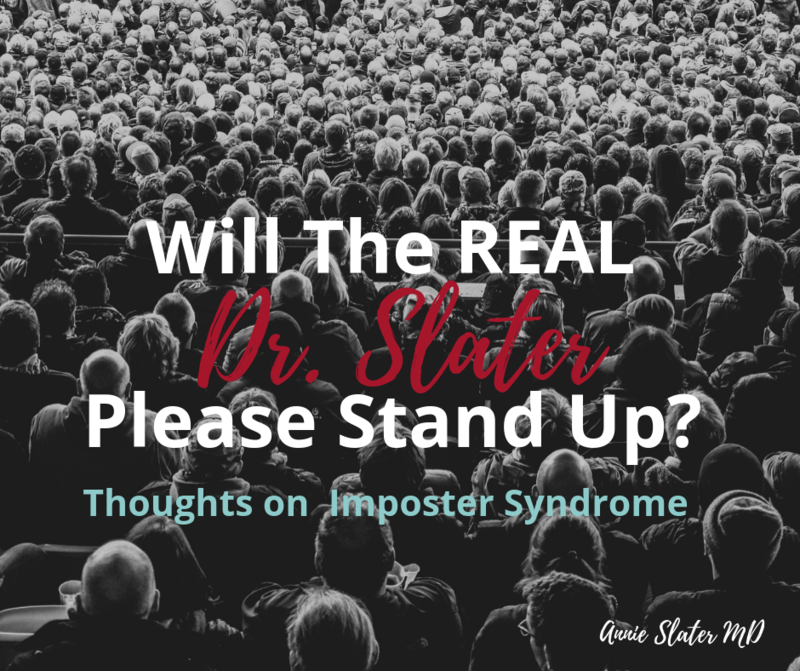 When I became an attending, my imposter syndrome really came alive. I moved across the country for my first job, and found the hierarchy of medicine to be different on the west coast. On my first day, I had an intern (a recent medical school graduate) who openly questioned my medical decision-making. I was unprepared and unfamiliar with this level of challenging of authority and I was deeply unsettled by it. I felt like I had to prove myself, but I wasn’t sure if I could. There was a simulation I attended, where the person running the code was blindfolded. As a new attending, that person was me. The combination of trying to perform without a basic sense (eyesight) while being new, and concerned that everyone thought I was a fraud was disastrous. I was paralyzed. I couldn’t think, much less figure out a complicated patient case, all in front of about a third of my new colleagues. All of these incidents happened within my first year of being an attending. I think together they would have shaken the confidence of the best, but mine was already questionable. Fortunately, the colleague working from home apologized later, she was doing some study on fractures, and was abnormally stalking the ER board. The simulation folks realized their error when I was incapable of working through the simulation without my eyesight—as far as I know, they have never done a blind-folded sim again. I however, was destined to be an imposter for the next six years or so. I lived with my imposter syndrome for a long time–and it always involved comparing myself to others, worrying about what everyone else was thinking, and fear that I would be discovered as being inadequate. I feel fortunate to be on the other side, to be able to say that these feelings eventually faded, and now they have all but disappeared. I think this is due to a combination of things, all happening as I gained experience and confidence. I started volunteering at Camp. My worth as a physician was no longer just in the hospital. My passion for camp led to me becoming the Medical Director. In this role, I attended many meetings where I was the only physician in the room and my opinion and expertise were relied upon to make important camp-wide decisions. This experience helped me become more confident in my skills and knowledge. The other thing that has made a difference is time on the job. I have been working full-time since I graduated from fellowship and I am now entering my 10th year of post-training life! Time builds confidence—I feel as though I have seen almost everything, but I have also seen enough to know that I don’t know everything. Life experiences including loss, grief and becoming a mom have helped me to perceive my failings in a different light, to have more grace for myself, and to tame the judgment demons I used to suffer from so intensely. I no longer focus on what everyone else thinks I do or do not know. I recognize now that I know a lot, and I have been through a lot. I also realize now that I am no longer an imposter. I no longer identify with those feeling I used to have. A recent book I read, Grit, by Angela Duckworth, has also helped me to process through those former feelings of being an imposter. She talks about how talent is nothing without hard work, passion and drive. Now that I am 22 years into my career, I am realizing that it doesn’t matter that I didn’t ace my first anatomy test. I am still here, having worked extremely hard through training and continued to work hard post-training to be good at my job. It’s time to relax and give myself a break. So, for all of you who are in the ‘imposter syndrome’ days, I understand. It is hard, and it can feel like you aren’t good enough on a daily basis. Just know that you are not alone, and it will get better. You can always watch Amy Cuddy’s TEDtalk on body language for some tips on “faking it.” Or read Grit. It will help you to get over feelings of inadequacy, as I can’t think of anyone grittier than those going through medical school and training. What about you? Have you had challenges with imposter syndrome? How did you manage it? Do you have any good advice for our readers? I recently had my last ‘official’ day at Camp. It was bitter-sweet, leaving me feeling blessed to have participated, but also sad that it is ending. On my departure, I received a little notebook. In it was more than 20 entries, all from staff that I had worked with throughout the years, thanking me for my leadership, my kindness, and my service. Each entry is about a paragraph, describing how my presence changed Camp for the better. I was deeply moved, and become emotional just thinking about what a gift it was for me. It is also an indication of how my dedication affected those around me. I am struck by the number of people that felt compelled to contribute, but also how good it feels to be affirmed for the work I put in. I always felt buoyed by the job itself, not thinking I needed any acknowledgement to feel as though I had done an excellent job. In reflection on my experience, I realize that sometimes it is important to receive acknowledgement for the work we do, even if the work itself is a source of deep gratification. Appreciation can act as a signal to keep us going, it gives us strength when times are tough. It reminds us of our value. This experience, and how profound the appreciation felt, has me thinking about my other job. In the hospital setting, (unlike Camp) people don’t make or receive ‘warm fuzzies’ on a daily basis and it is a lot harder to feel appreciated and encouraged that the job you are doing is a good one. Often we do receive feedback in ‘real time,’ but the majority is focused on what we have done wrong or informing us if a family was dissatisfied with their visit. While necessary and helpful, it can have the opposite effect of appreciation, making us feel inadequate or ‘not good enough,’ and likely adds to our feelings of burnout. There is rarely spontaneous and unsolicited positive feedback or anything resembling what I received from Camp. I receive about one complaint every 3 months or so, and about one compliment a year. I try to continue to have a good attitude and I think I do my job with joy, but I now wonder if the lack of appreciation taints how I operate when I get there. If the complaint/compliment situation is applied to everyone that works in the ED, every one of my colleagues is lacking good positive appreciation. Could it affect how they walk into work every day? Is it possible that a feeling of being unappreciated could alter how one treats others while at work? Now knowing what it feels like to be appreciated, I think we all need more of it to survive in the healthcare field. To help pull us from a place of negativity and bring us back to remembering why we care so much, why we do the jobs that we do. I don’t think it matters who the appreciation comes from, just that someone else notices our efforts. What would happen if we all showed a little more gratitude to our co-workers? What would that look like? I believe it is possible to make this happen, but it would necessitate a little culture change, more awareness of how our environment effects each of us, and a daily conscious effort to be a part of the solution. Moving in this direction could impact the way we view our jobs collectively, and also make it an easier place to be. If each person was feeling more appreciated and that the job they did individually mattered, would our busy and stressful times feel less awful? It is extra challenging because the environment we work in is a breeding ground for frustration. When we are frustrated, it is very hard to think about thanking someone. In reality, this is the time it is MOST important that we learn to do so. I find it is often easier to get frustrated by the delay in a patient going to the floor than it is to thank a resident for spending time to explain a test to a parent or telling my charge nurse that I appreciate her for navigating the disposition of a psych patient. When frustration instead of gratitude becomes the go-to emotion, the entire department can feel the ripple of this. Have you ever noticed how it feels to sit next to someone who is angry or allowing their frustration to consume them? It is as though their whole being is vibrating with negativity. This negative energy can be suffocating and repulsive, and it can make others feel negative as well. On the other hand, do you know what it feels like to sit next to someone who is emanating gratitude? The calm energy exuded can be a welcome reprieve from the chaos of the environment. I actively seek these people out and try to emulate them. In an effort to be in a place of gratitude prior to every shift, I have developed a habit of slowing down, breathing deep, and entering a mental state of compassion. I want to make sure that my frustration about traffic or my irritation over my messy house doesn’t cloud my interaction with my patients or colleagues. It is important to me that I practice in this way, but I am also very aware that when the pressure is on (busy ED, high acuity, and stressed out colleagues) even I can get pulled out of my appreciative state fairly easily. Couple that with an email about a patient complaint and I am totally in a downward spiral, trying desperately not to allow frustration to overwhelm me. I realize that the way out is to consciously choose to respond differently. If instead of feeling frustrated by the volume of patients, the angry parent or the know-it-all resident, I re-channel my energy to focus on what is going well, I feel better. The volumes stay the same, and the parent does not miraculously become happy with the care, but I change. Changing our perspective can subsequently change the lens through which we look at life. The chaos then feels less chaotic, and the areas of frustration feel less frustrating. Which means, become appreciative! Focus on the team. Don’t let the negativity bring you down. Who can you thank? Who is doing an excellent job? Can you be the one who provides your co-worker’s daily dose of appreciation? I am working on this in my own life, trying to call out my physician colleagues when I truly feel as though I am being supported, thanking my nursing staff when they go extra lengths to calm a family, or my residents when they work hard to keep the ED flow moving. By taking an active role in giving others a ‘thank you,’ or taking time to genuinely appreciate their work, we might actually be able to change the way our workplace feels, especially in the stressful moments. 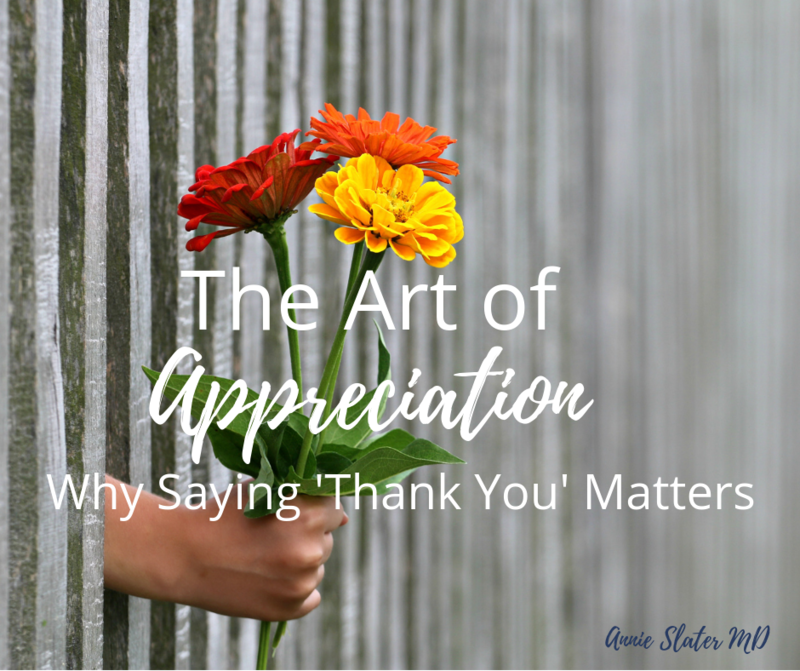 Recognizing the importance of appreciation and saying ‘thank you,’ is a good reminder for me on how I need to lead and model behavior. Knowing how good it feels to be appreciated, I can then make sure I shower people with it when I think they do a good job. Or if I am grateful for something they have done for me. If warranted, I will send an email to my co-worker’s supervisor, and make sure my colleague is also included in the email. Can you imagine what it would feel like if we all did this? The ripple effect is real, so if you participate just a little, change will occur. How do you like to be appreciated? How do you like to appreciate others?